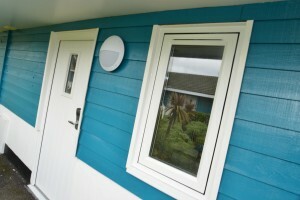 Ratings from guests at one Butlin’s resort increased by 20% after a refurbishment including windows and doors by Wrekin Windows. Butlin’s resorts, once aimed at family summer holidays have now extended their season with an almost all-year offering of music and themed events, though families still make up the core of business throughout the main season. This means any replacement such as windows and doors in chalets presents a number of specification challenges that might be less common elsewhere. Not least of these is that the closed season for any refurb and refits is just six weeks and even then, occasional events can curb weekend working. 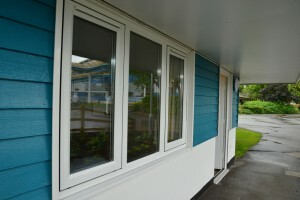 “Bourne Leisure had seen the Profile 22 PVC-U Flush Sash system at a trade show and were impressed that, among other things, its flush design meant it could not be forced from outside by putting fingers under the sash. Wrekin Windows, part of the Epwin Group, completed the contract within the six-weeks and in time for a big Valentine’s Day event. However, that timeframe also included several weekend breaks, as well as fitters having to mesh with other workers replacing carpets, electrics, boilers etc. The only activity possible outside of that period was that the first week’s windows and doors could be delivered before Christmas and stored on site so that the fitters could begin on the first day back after New Year. Richard Camp credited Butlin’s and the other subcontract workers for helping the entire exercise to go smoothly.